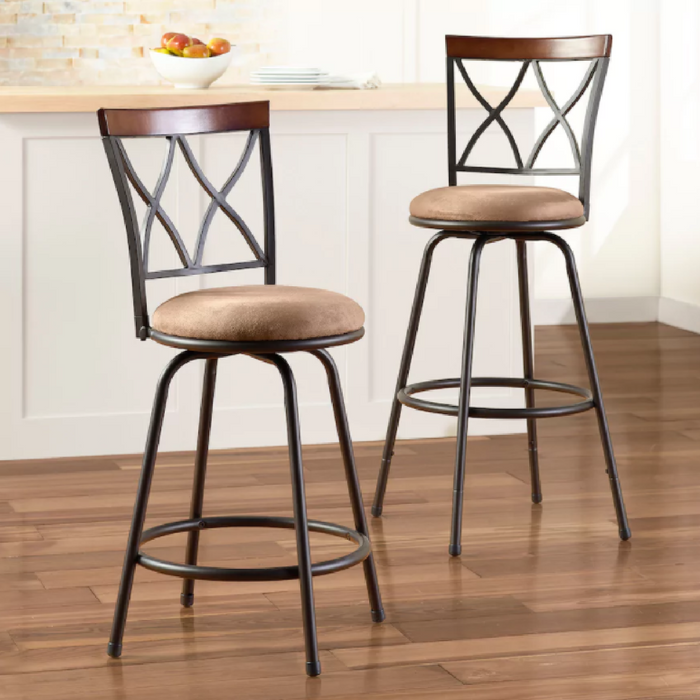 2-Pack Swivel Stools Just $59.99! Down From $150! PLUS FREE Shipping! You are here: Home / Instagram / 2-Pack Swivel Stools Just $59.99! Down From $150! PLUS FREE Shipping! Keep your home looking classy with this SONOMA Goods for Life Shelton stool set! Swivel design allows for perfect positioning. Padded seat and footrest add comfort. Microsuede upholstery offers style and durability. This would look lovely at your counter table!